Smoother, finer and less sticky than traditional clay; needs no oven or kiln. Softens easily with water and quickly cleans from hands and surfaces. Use with traditional techniques such as pinch, coil, slab, score-and-weld; make stamped impressions, beads; embedding found objects. Can be painted with tempera, acrylic or watercolors when dry. 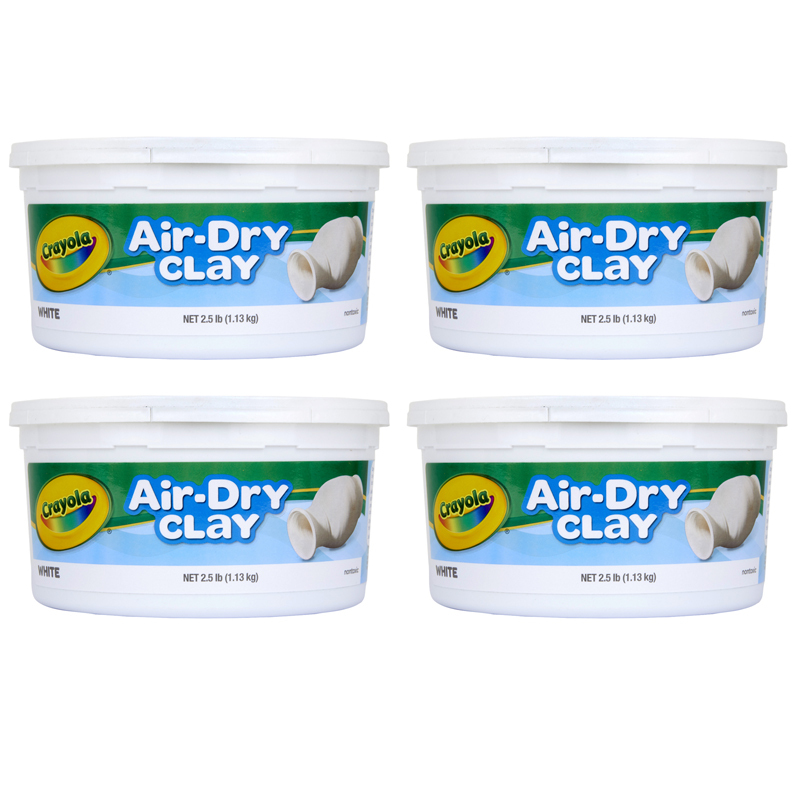 Each individual bucket contains 2.5 lb of clay. 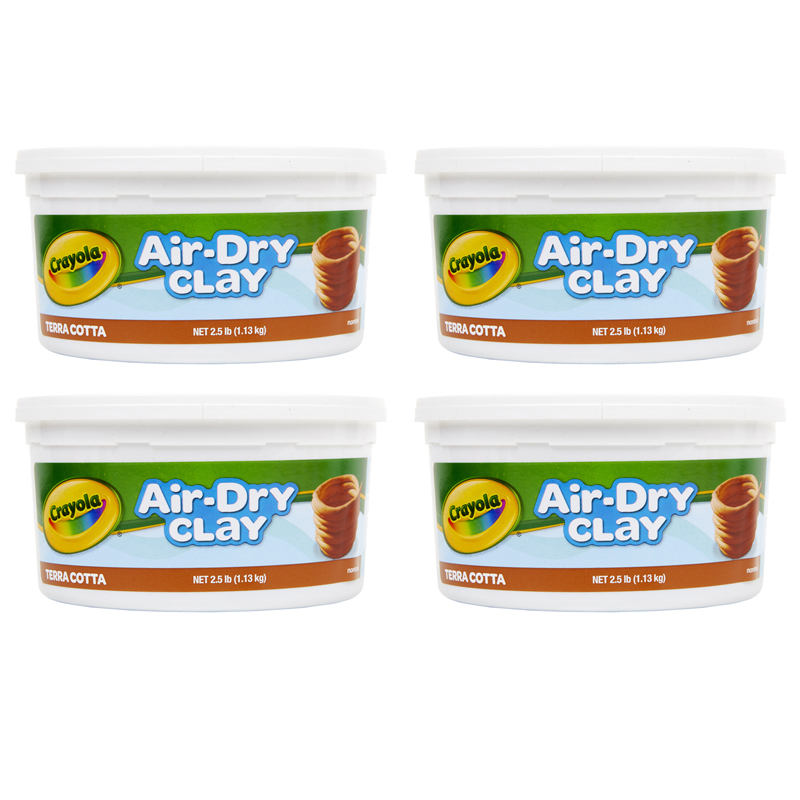 Sold as 4 buckets for a total of 10 pounds of clay. 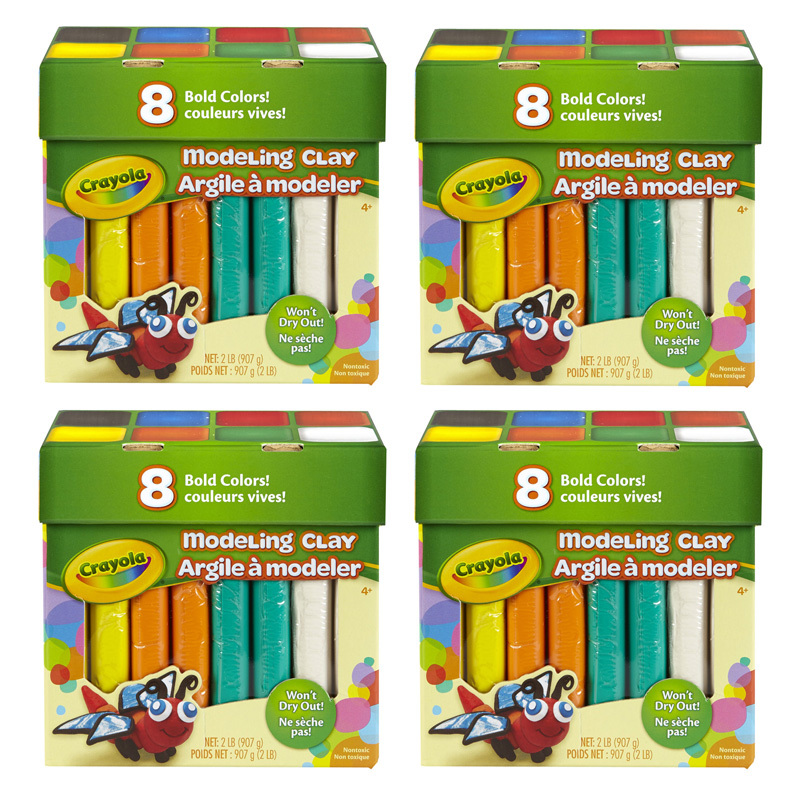 The (4 Ea) Crayola Air Dry Clay 2.5lbterra Cotta can be found in our Clay & Clay Tools product category within the Arts & Crafts.